Original name ALESSANDRO DI MARIANO FILIPEPI one of the greatest painters of the Florentine Renaissance. His "The Birth of Venus" and "Primavera" are often said to epitomize for modern viewers the spirit of the Renaissance. Botticelli's name is derived from his elder brother Giovanni, a pawnbroker who was called Il Botticello ("The Little Barrel"). 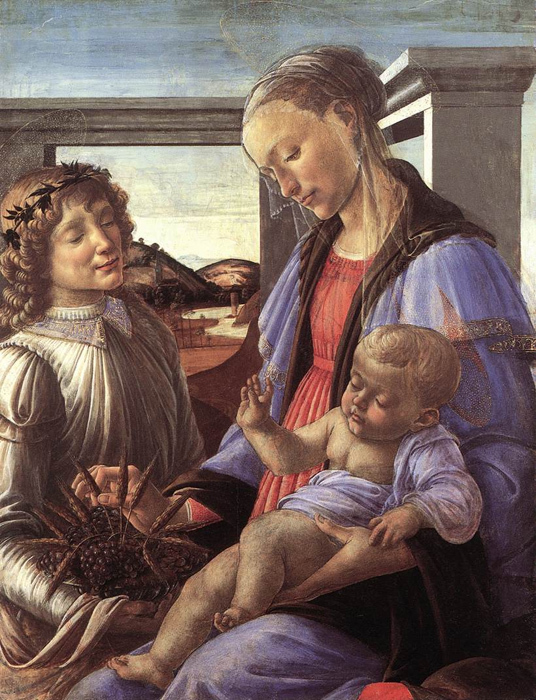 All our knowledge of Botticelli's life and character derives from Giorgio Vasari's biography of him, as supplemented and corrected from documents. 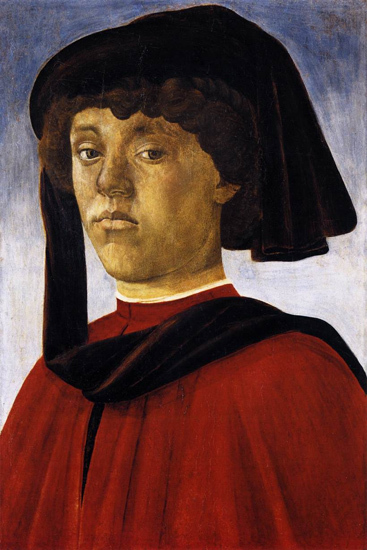 Botticelli's father was a tanner who apprenticed Sandro to a goldsmith after his schooling was finished. 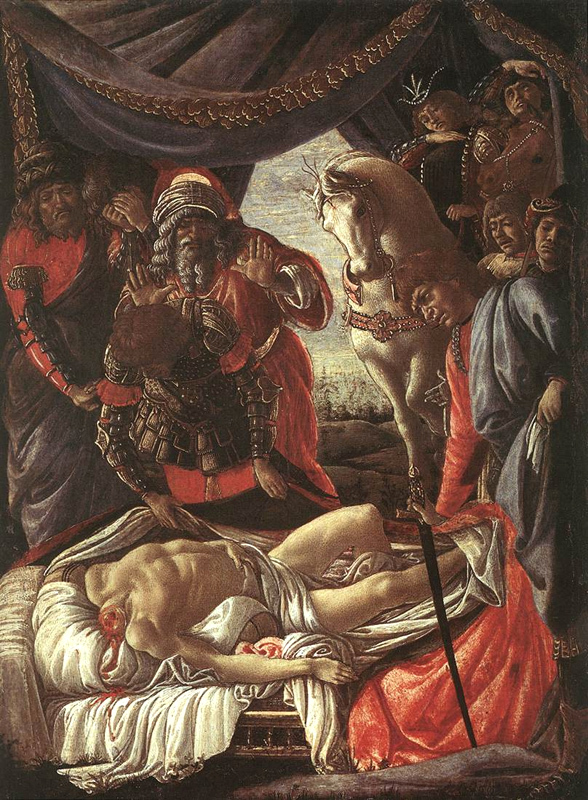 But since Sandro preferred painting, his father then placed him under Fra Filippo Lippi, who was one of the most admired Florentine masters. 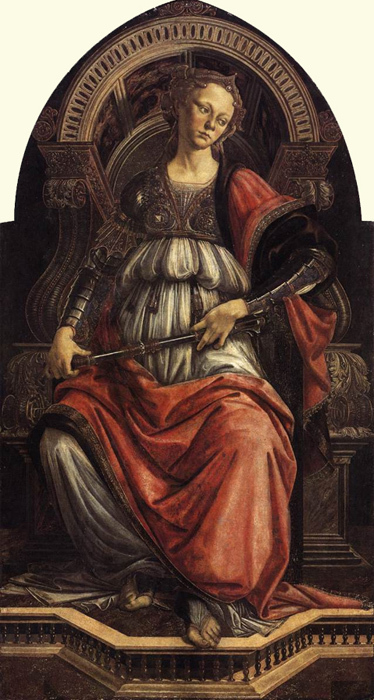 Lippi's painterly style, which was formed in the early Florentine Renaissance, retained certain elements of International Gothic delicacy and decorativeness. His style was fundamental to Botticelli's own artistic formation, and his influence appears even in his pupil's late works. 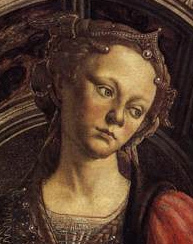 Lippi taught Botticelli the techniques of panel painting and fresco and gave him an assured control of linear perspective. 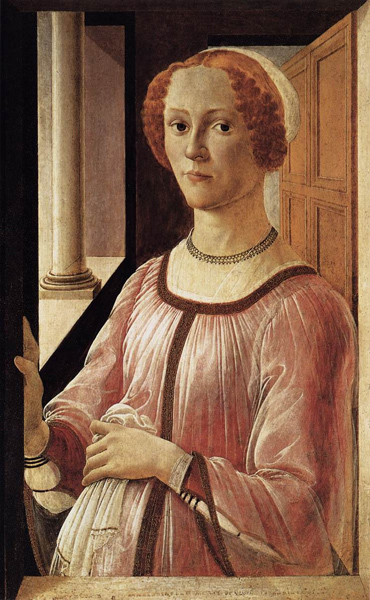 Stylistically, Botticelli acquired from Lippi a repertory of types and compositions, a certain graceful fancifulness in costuming, a linear sense of form, and a partiality to certain paler hues that is still visible even after Botticelli had developed his own strong and resonant colour schemes. By 1470 Botticelli was already established in Florence as an independent master with his own workshop. Absorbed in his art, he never married, and he lived with his family. 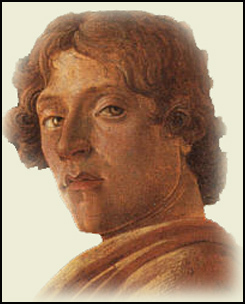 The figure style of Botticelli's teacher, Lippi, was softer and frailer than the sculptural style of Antonio Pollaiuolo and Andrea del Verrocchio, the leading Florentine painters of the 1460s, and under their influence, Botticelli transformed the forms he had learned from Lippi into figures of sculptural roundness and strength. He also replaced Lippi's International Gothic delicacy with a robust and vigorous naturalism, shaped always by conceptions of ideal beauty. 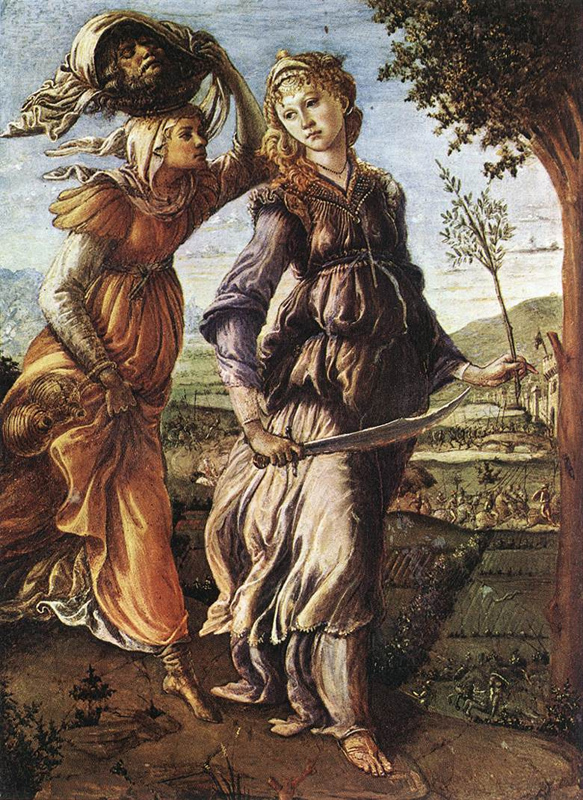 These transitions in Botticelli's style can be seen in the two small panels of "Judith and Holofernes" (c. 1469; Uffizi Gallery, Florence) and the "Chigi Madonna" and are fully realized in his first dated work, "Fortitude" (1470; Uffizi), which was painted for the hall of the Tribunale della Mercanzia, or merchants' tribunal, in Florence. Botticelli's art now shows a use of ochre in the shadowed areas of flesh tones that gives a brown warmth very different from Lippi's pallor. The forms in his paintings are defined with a line that is at once incisive and flowing, and there is a growing ability to suggest the character and even the mood of the figures by action, pose, and facial expression. About 1478-81 Botticelli entered his artistic maturity: all tentativeness in his work disappears and is replaced by a consummate mastery. He is able to integrate figure and setting into harmonious compositions and to draw the human form with a compelling vitality. He would later display unequaled skill at rendering narrative texts, whether biographies of saints or stories from Boccaccio's Decameron or Dante's Divine Comedy, into a pictorial form that is at once exact, economical, and eloquent.